As a 100% Igorot, it breaks my heart to see myself left in the metropolitan area when most of my folks have gone home for the All Saints’ Day feast. 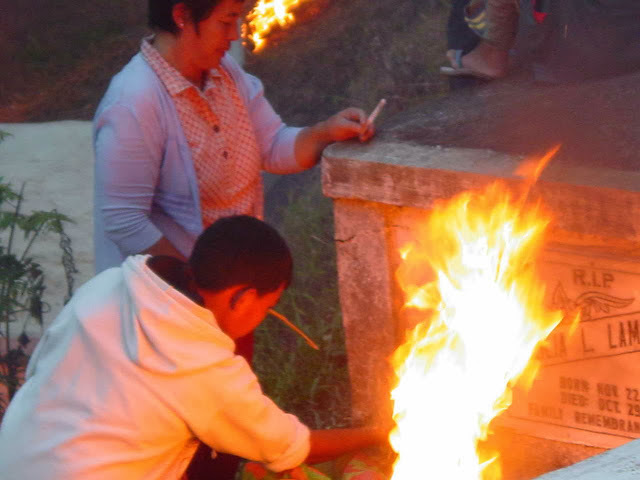 All Saints’ Day is well-celebrated in my native Sagada, up there on the Cordillera Ranges. We call it "Pinag-aapoy" or "Time for Burning". Who taught us how to celebrate All Saints'? Not the Spaniards. 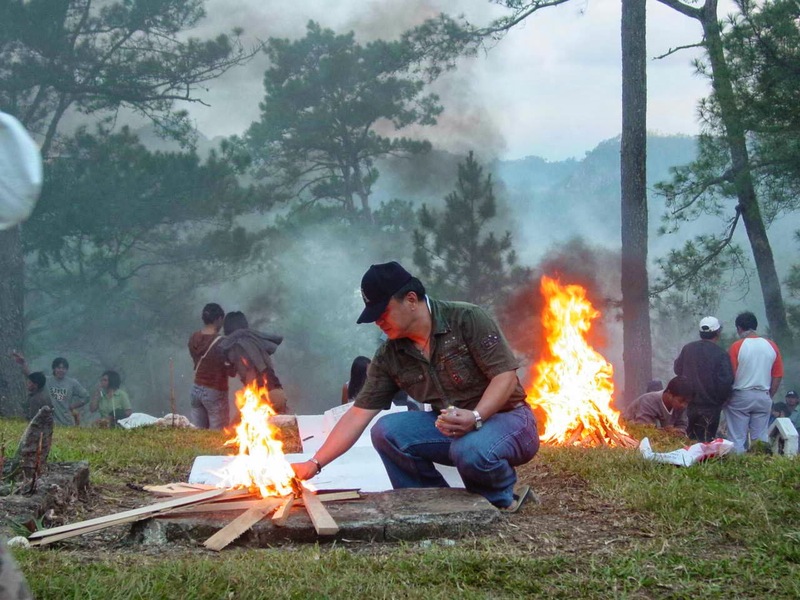 Remember, the Cordilleras were not conquered by these Europeans. It was the Americans who were able to penetrate into the thick mountains and saw my forefathers’ axe surrendered to them. They used their charm in capturing the hearts of my forefathers who were then glorifying "Kabunyan" as God. 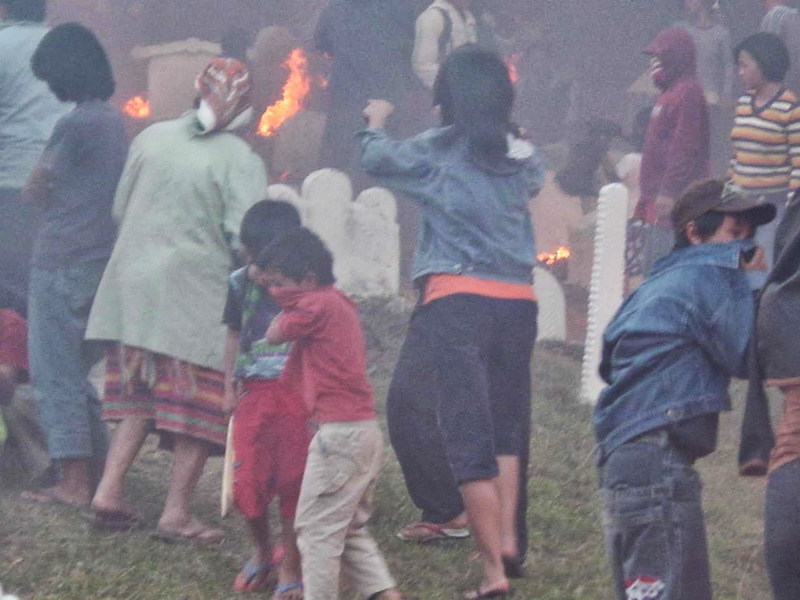 Before October ends, most Igorots would have reached their home. 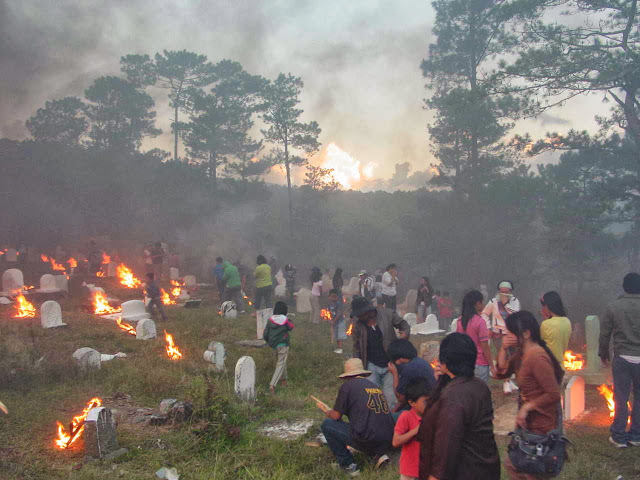 People in far areas travel back home for the Christian feast that pays tribute to the those who got away. I remember when I was a kid, my cousins in the city all go home in the first day of November. Christmas is not as serious as All Saints' Day back in the native land. 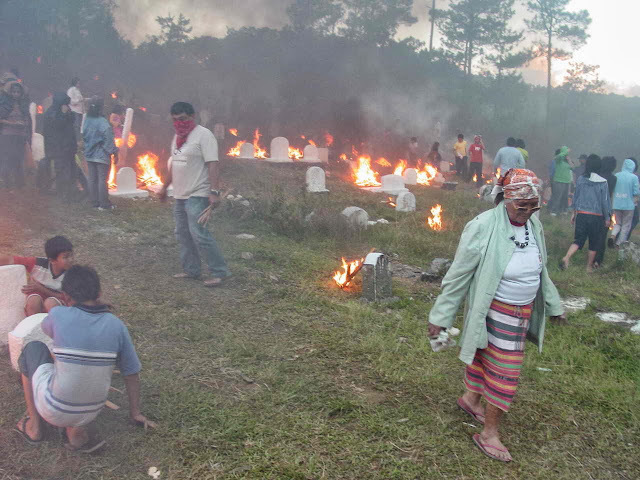 We would go to see our cousins in the eastern part of Sagada in the morning. 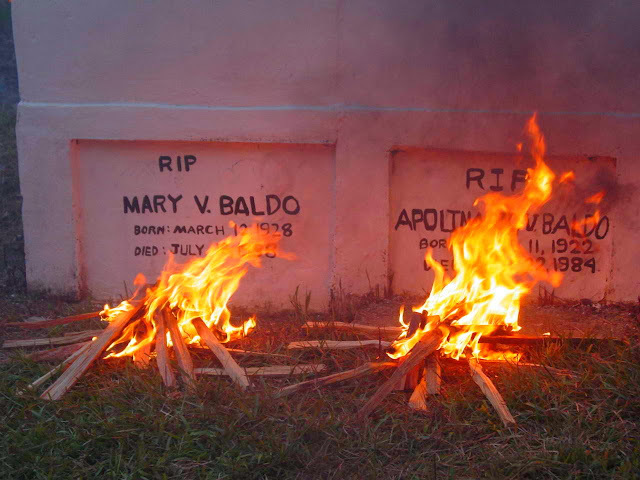 Manang Dodo, my eldest cousin there, would go home from the city and cook us some delicious food. 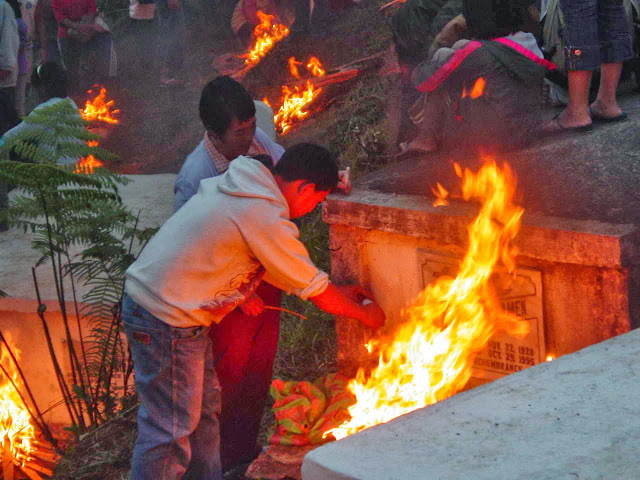 Before lunch time, we would join our cousins at the cemetery placing candles in front of the tomb stones of our forefathers. We would visit the resting place of Langsa, one of my age mate cousins who died in an accident back in high school. Hours after lunch, we would head to the cemetery within the St. Mary Mission Compound in town. 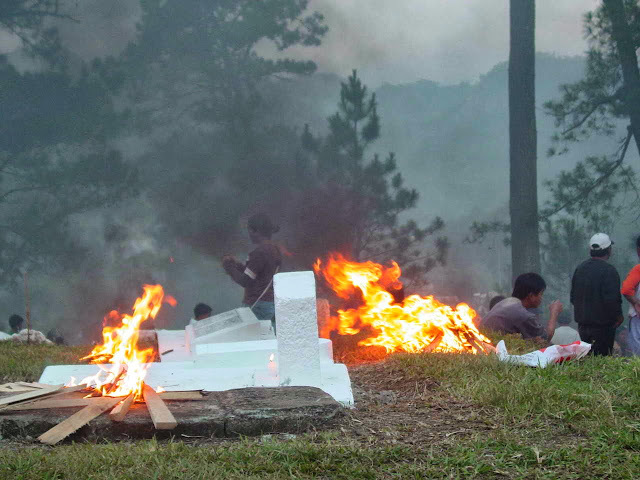 We climb the hill and burn chunks of pine wood in front of the graves of our forefathers. I usually go around looking for the tomb stones of our departed. At seven, we go back home for a grand dinner with our cousins. Nowadays, we have started the practice of going to the cemetery in daylight for some picnic before the burning of pine wood in the evening. We also bring flower and candles. It is interesting that we use what is available in the mountains to observe this Christian faith. In the other side of the hill, there are hanging coffins that were buried there before Christianity arrived in Sagada and we do not have involve them in the All Saints' Day practice of burning pine wood in front of the grave.